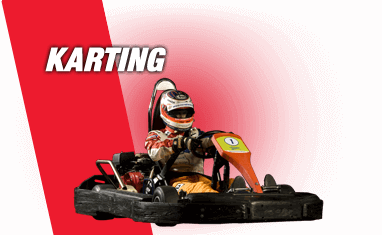 Perfect for groups, put your racing skills to the test with a go karting experience. With space for up to 35 drivers, a day out karting is ideal for entertaining large groups of clients and corporate staff days. Winner takes all, including bragging rights! Available at a number of central UK locations. See the full range of karting experiences below. 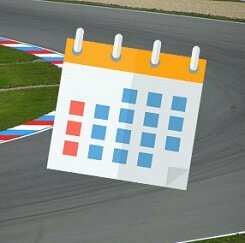 What is a Karting Driving Experience? Follow in the footsteps of Britain's Lewis Hamilton who started his awe inspiring racing career at the wheel of a Go Kart. Go Kart racing is a fun, adrenaline fuelled competitve sport. On each of our Karting Experiences you and your friends can really find out who is the best driver after! Book your Gift Experience Voucher today and find your local karting track. If You or your son or daughter fancy taking things to the next level, then our bambinos kart racing school or the senior kart racing school will put you under expert racing instructors in the real deal racing Karts for some serious tuition and receive the same coaching skills as Lewis and many formula 1 drivers before him!